OEM rims, or Original Equipment Manufactured rims are those supplied by the vehicle’s manufacturer when the car was made. 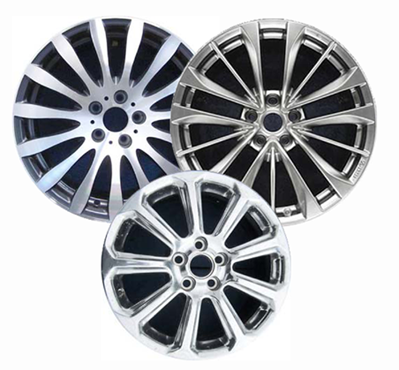 Kwicksilver has refurbished OEM rims and wheels available for most makes and models. A refurbished wheel has gone through an extensive inspection and remanufacturing process so that the wheel meets or exceeds the OEM specifications for roundness and runout, and has been refinished in the original color to look like and perform like a brand new wheel. The big difference is the price which is usually less than ½ of what the dealer would charge for a new one. Kwiksilver is based in Sacramento, California and serves Carmichael, Rocklin, Roseville, Folsom, El Dorado Hills, Cameron Park, Fair Oaks, Elk Grove, and the entire Central Valley.